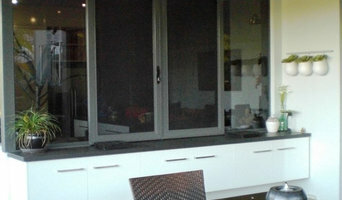 Coast and Hinterland Glass and Aluminium is owned and operated by Alex, a professional glazier by trade. He started the business over 12 years ago as a one-man-band and has since grown the business into what it is today with a team of over 10 full time staff employed. Located in Caloundra on the Sunshine Coast, Coast and Hinterland Glass and Aluminium service all areas of the South-East for both wholesale and retail customers and are committed to supplying the highest quality products and services. For more information, read our ‘Why Choose Us’ page or check out what some of our previous customers have had to say about our services. We provide a free measure and quote service for all of our customers – to arrange one contact us on (07) 5492 7730. Scratchless Glass Australia is based on the Sunshine coast, Brisbane and Gold Coast but services all areas of Australia with our Self Cleaning Glass Application and Easy to Clean Glass Treatments. We also seal Stone, Tile and Grout and Protect Stainless Steel surfaces. Using the best available products on the market we can provide 10 year warranty for SolarKlear and EnduroShield glass treatments as well as 15 yr warranty on Tile and Stone sealant services. Zen Eco living design is a renovation business with a very green heart & a passion for creating amazing spaces that have ambiance and luxury but also provide a calm, nurturing & ZEN home for the owners to enjoy & relax in. Our approach to each unique project is to create a home that is functional, practical & easy to keep tidy, whilst also encouraging downsized living & removing clutter from our precious lives and homes to create more space for a more beautiful ZEN life. Building Approvals United Queensland Domestic and Commercial Building Approvals, Certification and Inspection Building Approvals United QLD (BAU QLD) is a fully licensed and accredited team of building certifiers that provides domestic and commercial building approvals, certifications and inspections throughout Queensland. 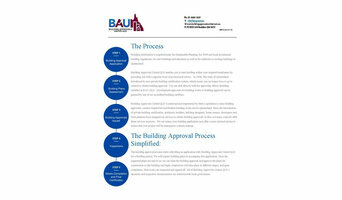 Building Approvals United QLD brings a customised approach to each client that sets us apart. We partner with Queensland architects, builders, building designers, developers, home owners, town planners and building professionals to achieve exceptional results. Our experience and knowledge in all areas of the building and construction industry enables us to simplify the statutory building approval process, saving you both time and money from start to finish. Based on the Sunshine Coast, Building Approvals United QLD specializes in building certification and approvals for domestic and commercial developments, including: New homes |Home additions and alterations| Sheds and carports| Patios and decks Swimming pools and pool safety certificates | Studios | secondary dwellings | Industrial and commercial developments | Tenancy fit outs |office buildings | Units and town houses| Small, medium and large size developments The Benefits of Doing Business with Building Approvals United QLD Building Approvals United QLD makes professional building certification easy for: Queensland builders who need a great building Certification Company you can count on and contact directly during the early stages of your building projects. Queensland architects and building designers who need building certifiers that you can depend on for expert advice and that you can partner with and contact directly when it matters. Queensland property developers who need building certification consultants you can contact directly and form long lasting successful partnerships. 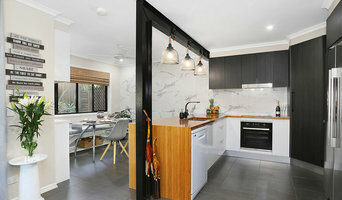 Queensland owner builders who need a building certification consultant to guide you through the building approval process and to work with you to achieve compliance. We understand that open communication is paramount in business; we work within your timeframes and strive to offer you a proactive approach and efficient service at competitive prices. 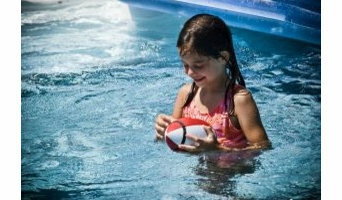 We provide a detailed and efficient pool and spa safety inspection service to give you peace-of-mind that your pool or spa complies with the current pool safety standards in Queensland. We cover all of the Sunshine Coast, Cooloola Coast and North Brisbane areas. We can offer pre purchase inspections or a consultation service to give you peace of mind knowing that your pool fence is up to standard. With a wealth of experience behind us, our team works hard to provide a friendly service combined with professional results. We specialise in stainless steel fabrication and the manufacture of stainless steel products, from kitchens and bars, bench work, shelving, and exhaust companies to outdoor BBQ areas and balustrades for decks. We also perform maintenance work, providing on-going care and assistance to ensure that your stainless steel products maintain their quality for years to come. No job is too big or too small for our team, so give us a call today to find out which of our services are best for you. Whether you’re looking to buy, sell or rent a home on the Sunshine Coast, Blue Moon Property Nambour is here to help. We pride ourselves on taking the time to get to know each and every client individually - listening to their specific needs and wishes. We’re ready to negotiate the best deals, determine your optimal selling price and provide you with all the necessary facts you need to make a confident, informed decision. Flexi-Bund is a patented floor bunding product developed by Safe-Waste Industries.The original and best quality assured floor bunding. Governement approved. Installed on many government sites. Proven performance since 2003 Nationwide in Australia. Manufactured from a combination of rubber and PVC, Flexi-Bund is designed to seal against floor surfaces in workshops, warehouses, marinas, wash bays, liquid storage areas, compressor bays, chemical plants, loading docks, mine sites and any area with a sealed surface. Flexi-Bund is a patented floor bunding product that is completely trafficable and can be driven over by cars, trucks and forklifts for complete access to bunded areas. Coloured "safety yellow" to match safety floor markings, Flexi-Bund is resistant to oil and grease, diesel, gasoline and chemicals commonly found in the vehicle service and maintenance industry. Flexi-Bund is the best and most economical alternative to brick or concrete floor bunds which are not normally accessible to traffic. Flexi-Bund can transform a service or wash bay into a fully compliant bunded area overnight, at a fraction of the cost of concrete cutting and forming the old fashioned way. Flexi-Bund has been successfully installed in hundreds of applications around Australia and is endorsed by Government, Local Government and major industry organisations. For more information on the Flexi-Bund floor bunding product please review our website or contact us on 1800 460 112. Evolution Waterproofing are South East Queensland's solution to all waterproofing needs, with over 20years combined experience and a diversified field of technicians we have what you need to get the job done whether it be a residential or commercial project. We pride ourselves on making sure every project is 110% satisfactory by the extreme eye for detail and quality control we have in place when undertaking a new job - "after all every job is different". By servicing all of South East Queensland we expand not only our horizons but our clients by being able to satisfy there needs wherever the build. Strategic policy advice and industry reform; innovative partnerships; integrated planning (environmental, economic and social); industry/ community/ government liaison; submission and report writing. As they juggle your demands and the work of home builders, the Sunshine Coast, Queensland building project manager often benefits from a construction industry background. This may also assist you when you need to hire additional contractors. Look in the Professionals section of our website under Sunshine Coast, Queensland specialty contractors, then select the nearest metro area for a contractor. You can also look through Queensland photos of completed projects to see how a contractor might approach design challenges.